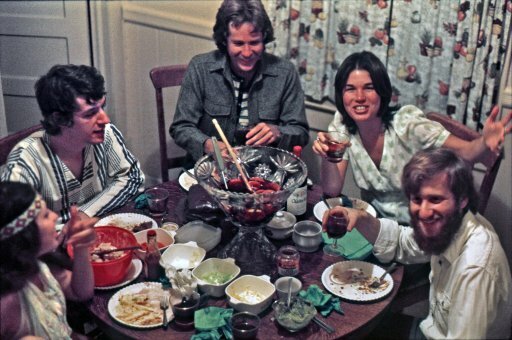 i love this photo . . it seems to capture the '70s Northern California culture . . the hair; the clothes; the round oak table; the funky old apartment and, of course, the giant bowl of sangria. . .